You know what Christmas is all about: giving, kindness, love and eventually…improvement. Improvement as in self improvement—the kind that comes at New Year’s, the kind that drives people to make resolutions that more often than not fall by the wayside by February. Those resolutions manifest themselves on desktop calendars and pocket agendas. They appear in places like the gym, the grocery que or a thousand Facebook posts. But how often do those resolutions really get met? About a year ago, we set out on a quest for a new kind of resolution. It was a resolution to reimagine our passion for web design. But we’re not here to talk about that passion, we’re here to talk about the results of a New Year’s resolution that was met in 2015. And as we turn the tide into the second half of the 2010’s, what’s coming up next from our end of the internet that affects your end. Potato Care is now fueling 98% of our modern, responsive websites. Speaking of modern websites and responsive design, they do still comprise the majority of the Metal Potato pie. And as recent WordPress and Google updates fuel the forced adoption of responsive design across the internet at large, we’re proud to have added several gold-class examples of the breed to our stable. Headlining the list (and actually many lists) is the home of Oxford-raised fashionista Roxie Nafousi, Rawan.com. 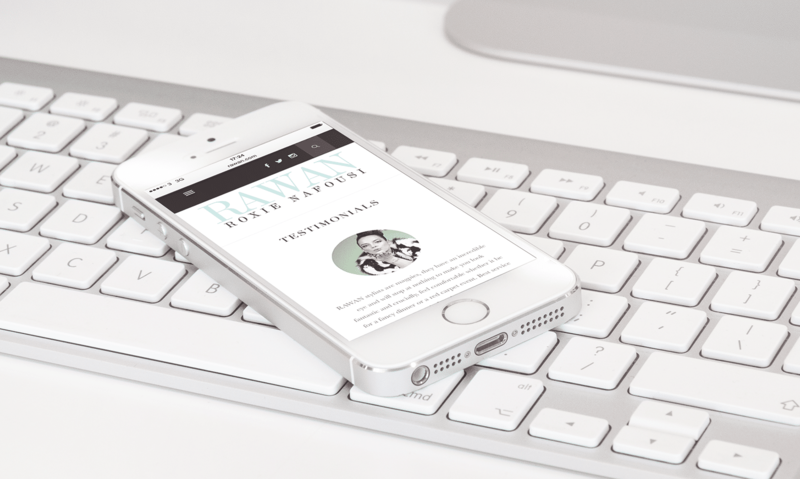 When Roxie entrusted us with a full-on redesign of her website in 2015, we knew it had to be flawless and fashion-forward. The resulting design is a clean and elegant solution that looks great on any device and highlights the latest and greatest products at Roxie’s disposal through the use of Roxie’s clever “Rawan Loves” slider on the homepage. And although the resulting design satisfied our team, it was nothing compared to Roxie’s praise of her new website. Thank you, ma’am. You don’t know how much that means to us. 2015 was not only a banner year for our company in the fashion field, but curiously enough in the government website field, as we marked our first government website build some 4,000 miles west of our home offices in England. There, in the heart of the United States, in the small Tennessee town of Brownsville, we planted the seeds of an international friendship with a full update of the Haywood County government website. 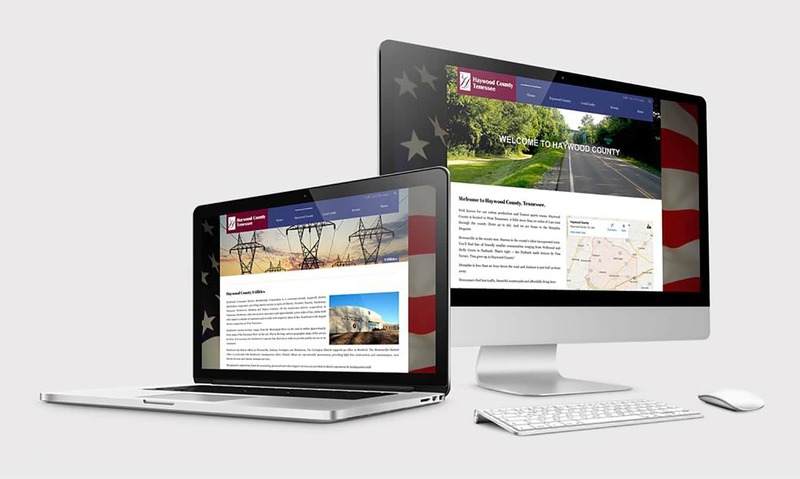 Officials from the local government that manages a 534-square mile chunk of Tennessee came to us with a problem: their old website, they said, was not modern. Not at all. And they needed something new and fresh to help recruit business into the community, as well as to provide better customer services to the citizens under their watch. We’re proud to say that we rescued the day by bringing a website that suffered from a mobile layout about as friendly as a rusty nail in your floorboard into the modern world. Along with it came improved search engine results and a new life as a useful recruiting tool for their community. The job was a challenge. Over a decade worth of archives needed to be manually converted over to the modern world. But the job got done. “It was our first website for a government of any kind, and it’s one we’re very proud to have worked on. The website has reduced bounce rate substantially, search engine visibility has improved and it’s just an all-around better experience for Haywood County residents,” said one of our chief design spuds. A better experience, he says. That’s really what our resolution was all about. We wanted to provide a better user experience to everyone involved with our company: from the ladies and gentlemen writing the cheques behind the scenes to the end user who browses the new website on their iPhone. Now, headed into a new year with a new dawn and new resolutions and goals, we’re proud to say that we have done that. No, we didn’t hit the gym very hard. Heck, we didn’t even write that many goals in our calendars. But we did successfully reimagine our company’s passion for web design, and we brought a heck of a lot of great experiences to every person we touched along the way. So here’s to you, Potato Family. Cheers. Merry Christmas. Happy Hanukah.